Home » Home Improvement & Kitchen » Air Fryer vs Deep Fryer: Which is Best? How do you continue to eat those crunchy crispy fries and still stay fit and healthy? Should you give it all up and stick to veggies? Isn’t that too much to give up? Think about it. While most of us have asked these questions over and over, some of us have already given up fried chicken, French fries, sausages, and all other fries because we just cannot lose the fat. The rest of us just love our tasty crispy French Fries and Chicken Wings made at home because we either tend to pay too much at restaurants or are not sure if they change the oil as often as they should. So we just have to make them ourselves. While fried food is hard to resist, a major part of our diet, and incredibly tasty, it is one of the biggest contributors to cardiovascular disease and obesity in the United States and in most other parts of the world. It all comes down to fryers; deep fryers, air fryers, and so on. The problem for many of us is choosing the right fryer to make the best fries. Although deep fryers and air fryers share many similarities, they have differences that make one better than the other. Everyone loves a quick meal. One of the most important things to look out for is time. How quickly does it work? Deep fryers generally take lesser time because preheated Oil cooks faster. A fryer that lets you control the heat is what you should get. There are times when you just need to turn down or turn up the heat and this feature helps you do that easily And conveniently. The next time you want to get a fryer, look out for the one with a Temperature control function. This is determined by how easy it is to operate, how durable it is, and how easily it cleans. It is important to get a fryer that has Dishwasher friendly parts, so it’s easy to clean after use. Also, fryers that produce little or no odor during and after use will save you from the stench that some fryers produce. It is true we love fries, but we also want to maintain a good health status. Fried oil is a No for such people. This is where air fryers tend to outsmart deep fryers. Very little oil is used here as a coating. So you can have the same crispy meal without having to worry about too much oil. An air fryer is a machine that uses very little oil and heated air to cook/fry foods. This means that you can get the same crispy fries you cherish but in a different, much safer way. Air fryers have efficient temperature Control system that ensures that heat is generated quickly. This ensures that foods are cooked easily and quickly. They also have a built-in cooling system and exhaust that disposes of the heat and smell after use. Many of them also come with automatic shut off button for ease and convenience. An oil used in an air fryer is reduced by more than 70%. With less oil, there are little or no health risks or fear of increased cholesterol. This makes it a preferred choice for health-conscious people. Plus, you save money, eat your favorite fries, and remain healthy. Air fryer parts are dishwasher safe, making it easy to clean. Plus, there is little or no oil spill making cleaning less messy. Apart from frying, an air fryer can grill, roast and bake. This makes it a multipurpose device. Heat can rise as high as 300 degrees and is evenly distributed. Also, you’re sure that your food will not get burnt. Some air fryers do not come with automatic shut off buttons and may burn your foods if not checked frequently. Most domestic air fryers have limited spaces for food. This means you might need to cook in sets. Air fryers may also cause your foods to dry out if not checked frequently. This is because they do not require so much oil to preserve the moist within. Black Crust called acrylamide may build up on your meat in the air fryer. Such may cause cancer if it builds up in the body and not scraped off before consumption. Deep fryers have been with us for a long time. Although they make very tasty foods, many people are usually concerned about the healthiness of such foods. A modern deep fryer comes with a timer and an audible alarm that sounds when the food is fried. It has a basket that is used to raise food out of oil when cooking is done. Although this cannot reduce the oil already absorbed, it can prevent soaking. A good deep fryer also comes with a ventilation system that disposes of the bad odor that frying leaves. Most deep fryers cook with trans oil. To cut the cost of deep frying, hydrogenated oil is used along with cooking oil. Deep fryers also come with oil filters that prolong the life of the usable oil. Deep fryers have temperature control to increase or reduce heat. This helps to prevent foods from burning. A higher cost of cooking as a lot of oil is required. The hydrogenated oil used by most deep fryers leads to increased cholesterol and is bad for the heart. It is a lot more difficult to clean a deep fryer. This is because of the amount of oil spill during usage. There is also a safety concern with deep fryers as hot oil can splash on you and burn your skin. There are increased fire risks when using a deep fryer. Q: Do both fryers produce the same tasty meals? A: Yes. Both the deep fryer and air fryer can make equally tasty meals. The only difference is that the deep fryer uses oil while the air fryer uses water and hot air. For the same crisp, oil is sprinkled on food cooked in air fryers. Q: Which of the fryers cook faster? A: I can tell you that deep fryers cook faster than air fryers. Heated oil only needs about 10-15 minutes to cook or fry your food while the air fryer would require 20-25 minutes for the same food. A: Due to the amount of oil you are made to consume; unwanted fat and cholesterol can build up which can lead to obesity. Fries are also bad for the heart. Clear Winner & Why Air Fryer is Best for You? 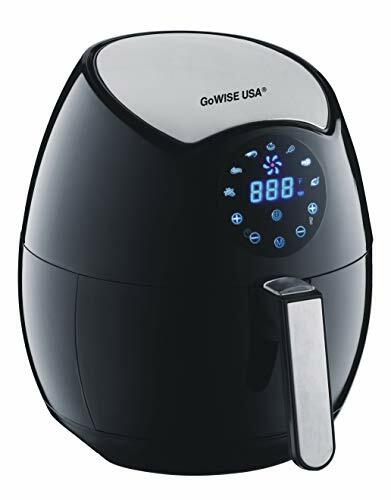 The air fryer was introduced as a better alternative to frying due to the pitfalls observed in deep frying, especially as it relates to your health. 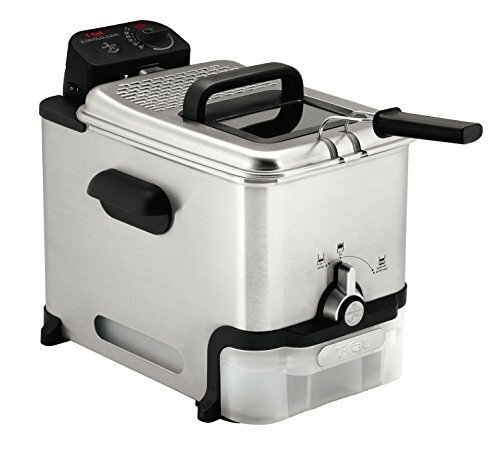 Personally, a fryer that can give you tasty and healthy meals is the clear winner. The Air Fryer uses little or no oil so there is no risk of high cholesterol or heart disease. This should be a major consideration for anyone who wants to buy a fryer. Also, the air fryer is built for multiple purposes. It can fry, roast, grill and bake as well because it uses hot air, which is almost the same technology as ovens and grills. This means there is no need having different appliances in your kitchen. 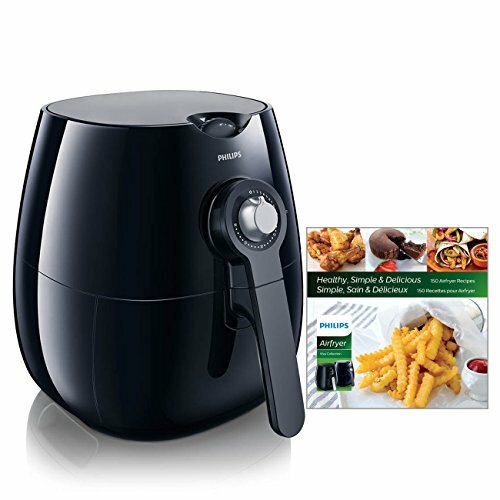 The Air fryer is also a more budget-friendly device as you spend less in cooking. The liter of oil that you would’ve used for frying is saved for other purposes. You should also know that air fryers are power savers. They consume less electricity and create little or no mess in your kitchen. The usual oil splash that builds up on your kitchen wall and your fryer do not happen with an air fryer. Instead of giving up your fries completely and switching to fruits and veggies because you’re on a diet or because of your health, an air fryer might just be what you need. You can continue to enjoy the irresistible taste and aroma of your crispy fried chicken and stay fit and healthy. All you need is a good air fryer that is convenient, fully automated and ergonomically designed. Thank you for the comparison of the 2 types of fryers. It helped us make a important decision before purchasing an air-fryer.